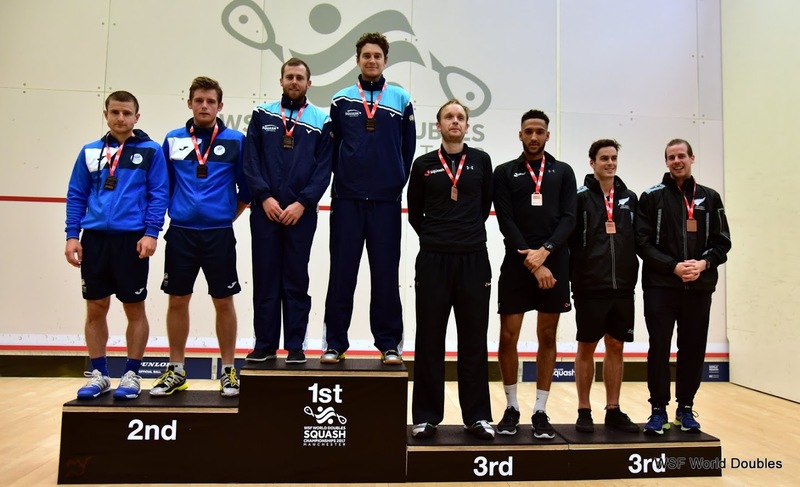 Alan Clyne and Greg Lobban took home silver medals from the WSF World Doubles Squash Championships in Manchester on Saturday. The duo proved their class as they reached the final of the world championships for the second successive year but were unable to defend their title. The Scots brilliantly won the world crown in Australia last year, defeating natives Zac Alexander and David Palmer to take gold. 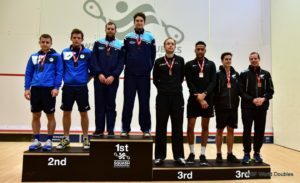 But, in Manchester, Australia took revenge as second seeds Ryan Cuskelly and Cameron Pilley beat Clyne and Lobban in the final – a year after being knocked out by them in the semi-finals Down Under. 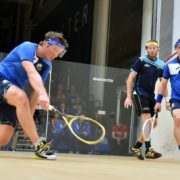 In their first group match Clyne and Lobban breezed past Indian duo Vikram Malhotra and Mahesh Mangaonkar with a 2-0 victory (11/1, 11/6) before the Scots defeated Dylan Bennett and Piedro Schweertman from the Netherlands 2-0 (11/2, 11/5). They made it three wins from three in Group A after a comprehensive 2-0 (11-2, 11-5) win over Dutchmen Dylan Bennett and Piedro Schweertman. 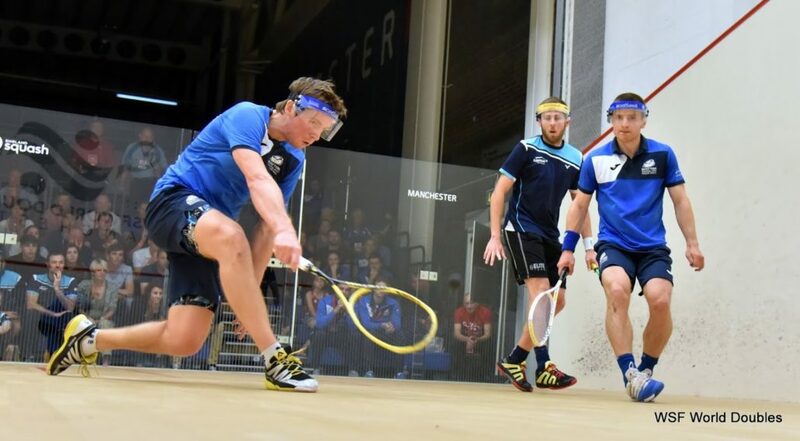 The momentum continued to build for the Black Isle duo as they racked up another 2-0 win (11/4, 11/7), this time in the quarter-finals over the Welsh pairing of Joel Makin and Peter Creed. In the semi-finals, the world champions emerged as 2-1 (11/8, 8/11, 11/8) winners over New Zealand’s Paul Coll and Campbell Grayson in an epic game that lasted 82 minutes. But the final proved to be a bridge too far as Cuskelly and Pilley produced a clinical, controlling performance to win 2-0 (11/6, 11/3) at the National Centre in Manchester. 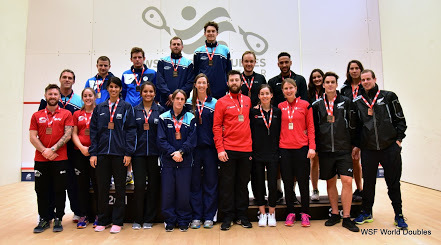 Despite losing the decider, Clyne and Lobban recognised the achievement in making back-to-back finals and felt the experience would hold them in good stead for the Gold Coast 2018 Commonwealth Games. “Overall we did well,” Clyne said. “We played convincingly throughout the tournament but they were strong and we struggled to get into the game in the final. Clyne felt reaching the final was in itself cause for optimism, adding, “I think it’s a good sign ahead of a big 12 months. Lobban echoed his partner’s thoughts. He said: “We will recognise what we have achieved but, right now, we are bitterly disappointed to have lost the final. “In terms of the Commonwealth Games, we are still gold medal contenders – the past week has proven how good a partnership we are.